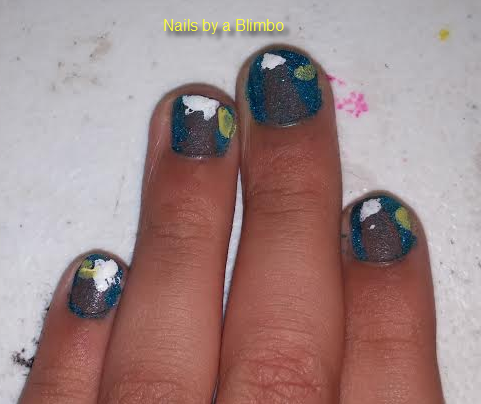 My nails for today does not really go with the theme so well. 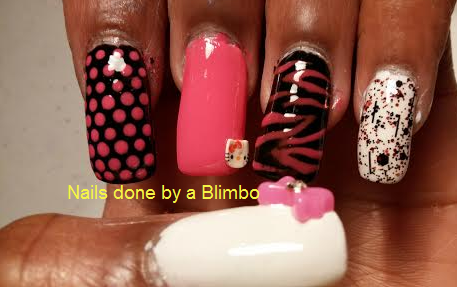 I remembered I had some Hello Kitty fimo canes and that she did have cartoons and movies so hence animation. 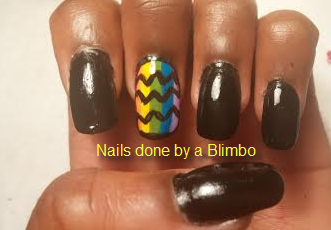 Not sure if I channeled this one correctly ,but I tried my best with my being tired from being work for 11 hours and the horrible snow storm. 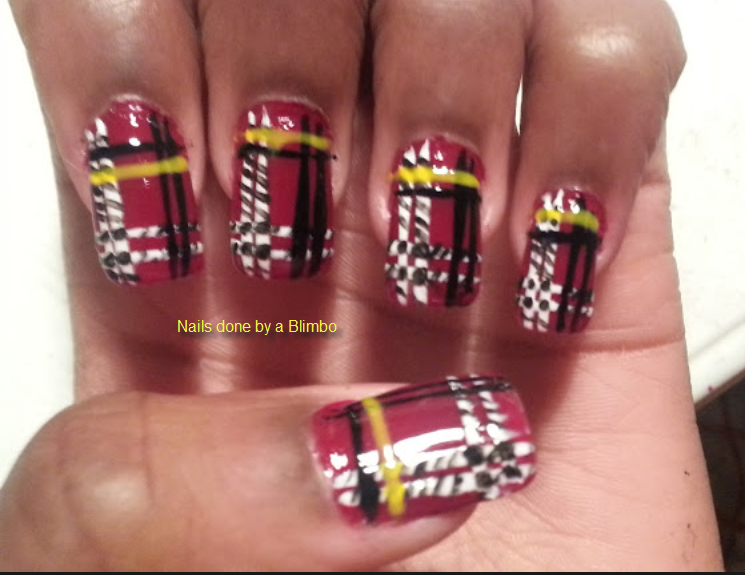 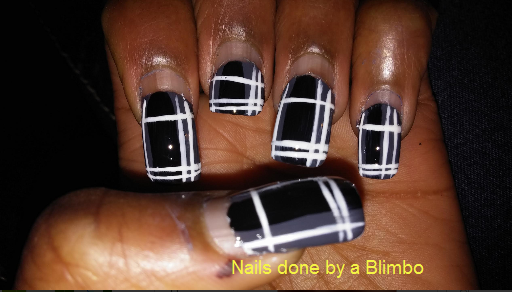 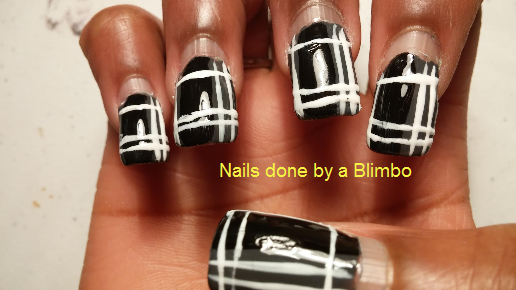 Nothing special or fancy just a black white and plaid mani. 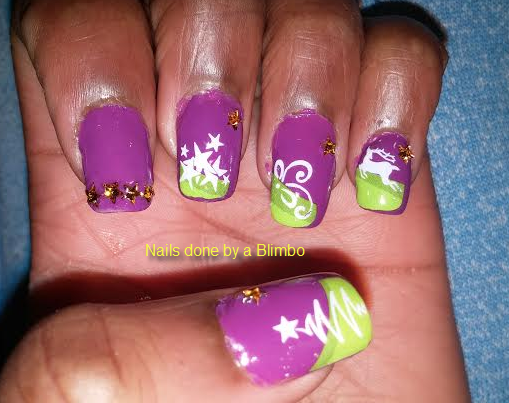 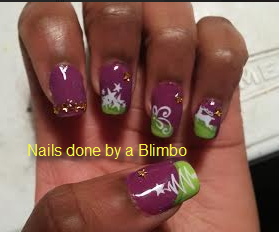 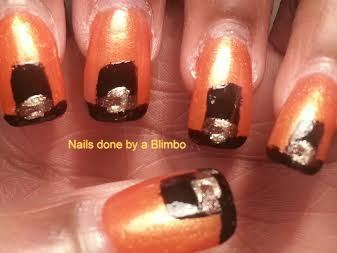 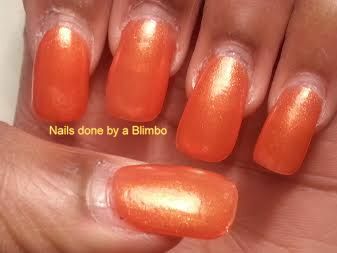 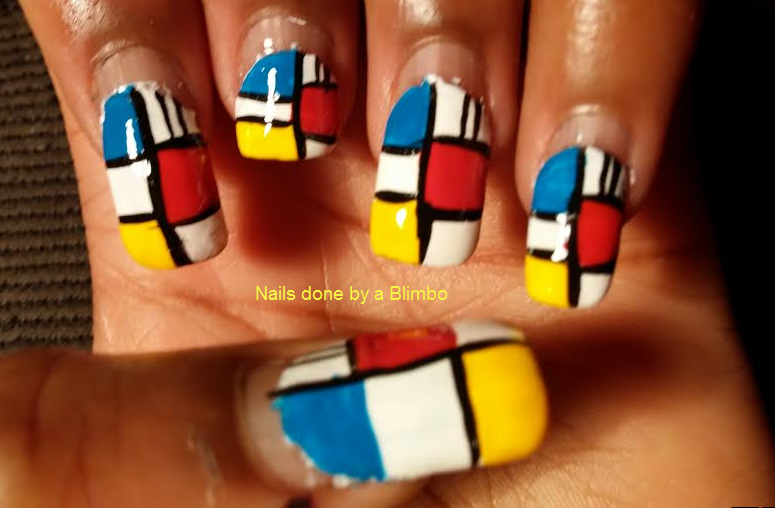 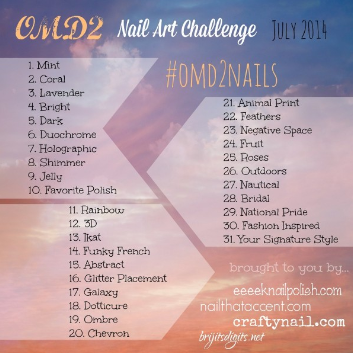 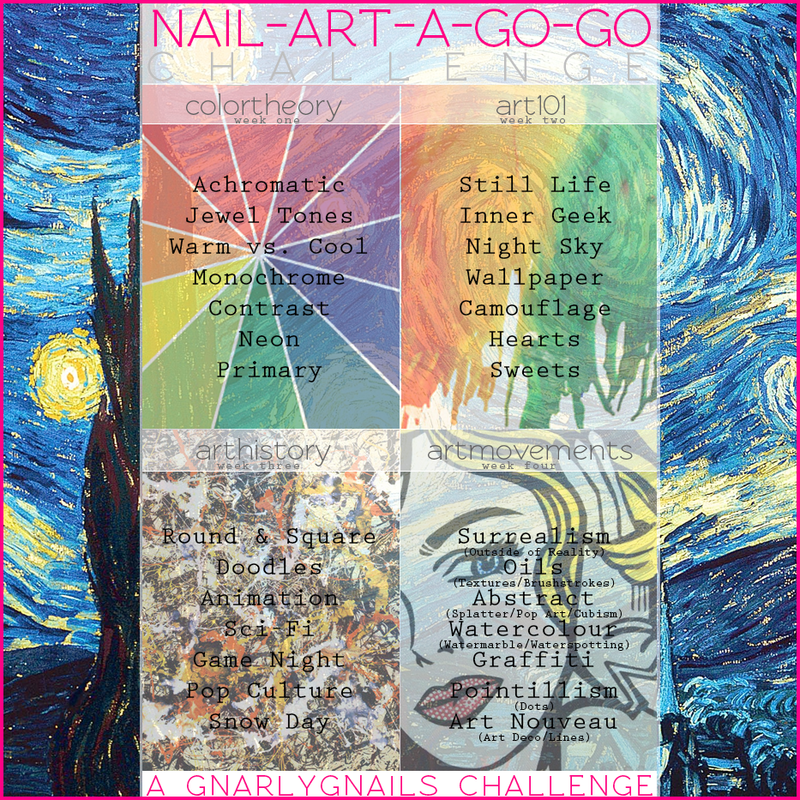 I had so many ideas for this mani, but I had to go on my art level, which is next to none and I promised myself as a resolution I would not post anything that I was not proud of .